Broccoli is certainly not the only option for cream soup, but it is quite clearly the best. It looks good and tastes even better. You’re going to need one or two bunches of fresh broccoli, an onion, two potatoes, milk, chicken broth, and some olive oil. To get everything started, you’re going to need to cut your broccoli and your potato into little teeny cubes. Next up, finely mince your onion. Heat a bit of olive oil in a soup pan over medium heat. Once heated, add the onion and potatoes and cook until the potatoes are tender. Add four cups of chicken broth and your broccoli and continue cooking until the broccoli pieces are tender. Then add two cups of milk. Now this is the tricky part. So pay careful attention. Put everything in a blender and blend it until it all looks kind of soupy. Yeah, that’s the tricky part. And you can add salt and pepper, if you want. Some people prefer to actually grate the onion to maximize flavor. Unless you have a tricky method to avoid blinding yourself on the onion juices then you probably should just mince them up right quick. Cream of broccoli soup is a cheese house. Grate cheese and top every bowl you serve with a little bit too much. 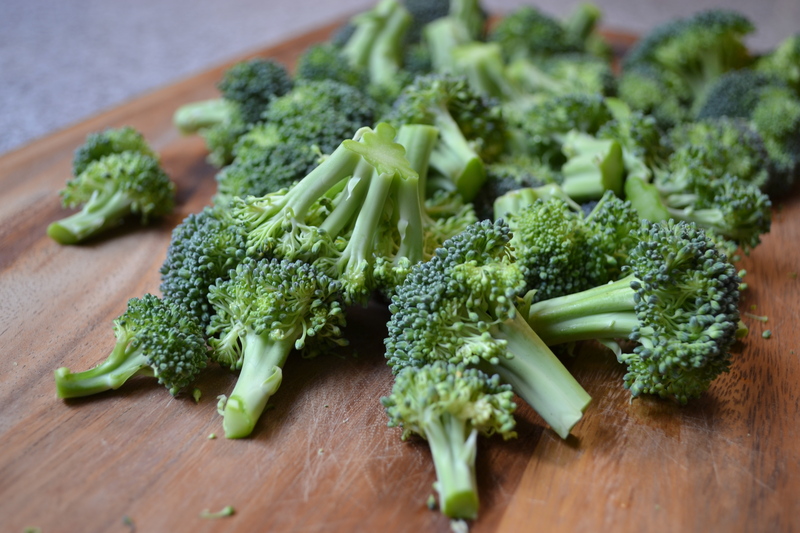 For a different recipe for broccoli soup, check out The Easiest Broccoli Soup Recipe Ever.